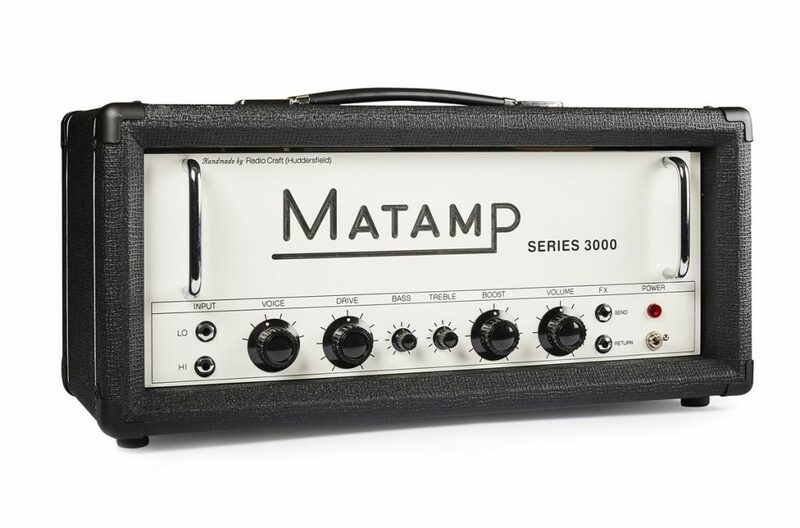 The Series 3000 is a direct descendant of the amp that started it all for Matamp, the Series 2000, made famous by Peter Green among many. The Series 3000 Green has a warm and dynamically responsive tone that sounds great on its own or with pedals. This Green version has a slightly stiffer power supply and is the perfect baby GT120 when you want the tone but not the massive volume. The preamp is the same as a Series 2000 apart from a drive pot in place of the switch. The output stage combines aspects of the Orange Matamp ORST and Series 2000. 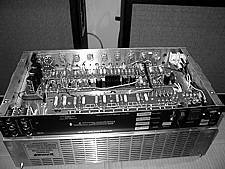 It features a pair of cathode bias EL34s fed by a GZ34 rectifier valve to give 30w of clean dynamic power with a little less sag than the standard Series 3000. 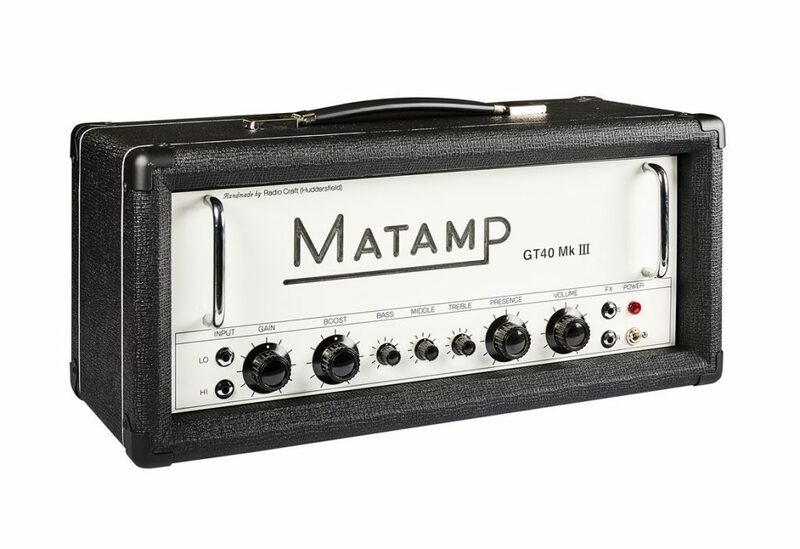 The GT120MV is the master volume version of the original GT120. 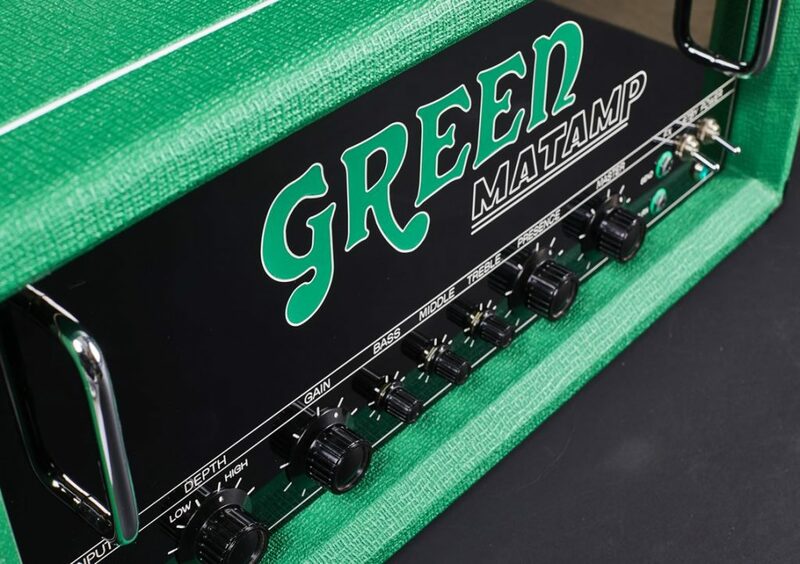 Taking elements of the original and later versions we have developed an amp that retains the characteristic Green Matamp organic sound while offering some way to control the awesome power these heads offer. The preamp features a gain pot in place of the drive switch which offers greater control, and the master volume is moved to a position in the circuit just before the driver stage so you can get the amp to overdrive at drummer friendly levels. Don’t worry though, the same great warm clean is available. The power amp has been updated to feature individual bias adjustment. This makes matched sets a thing of the past and enables the user to replace a single valve while still maintaining optimum performance. The driver and power amp stages have been optimised to achieve reliable performance with a tone reminiscent of the original units while using modern valves. The GT120MV can drive multiple cabs from the 4, 8 & 16 ohm speaker outputs. 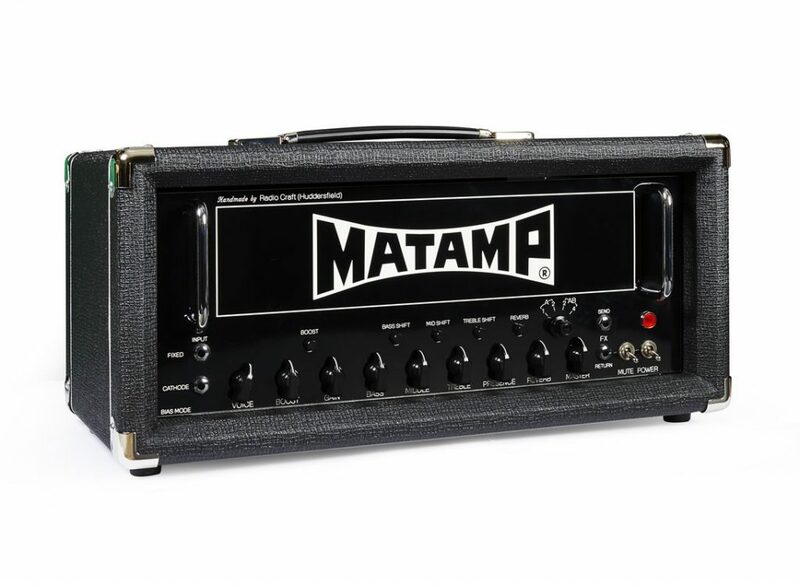 By using the parallel inputs found on Matamp cabinets the player can construct their ideal rig from our range of cabs. Sourced from original supplier from the 1970s to original specification. 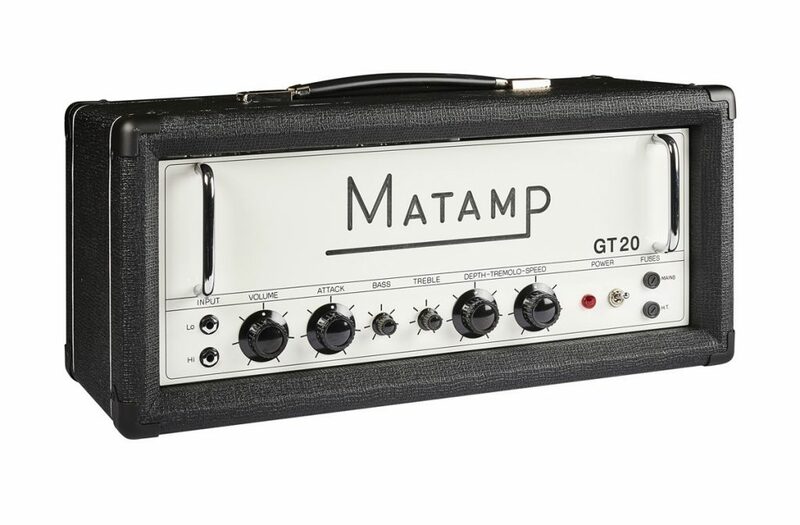 The GT120 is a reissue of the original 70s amp. 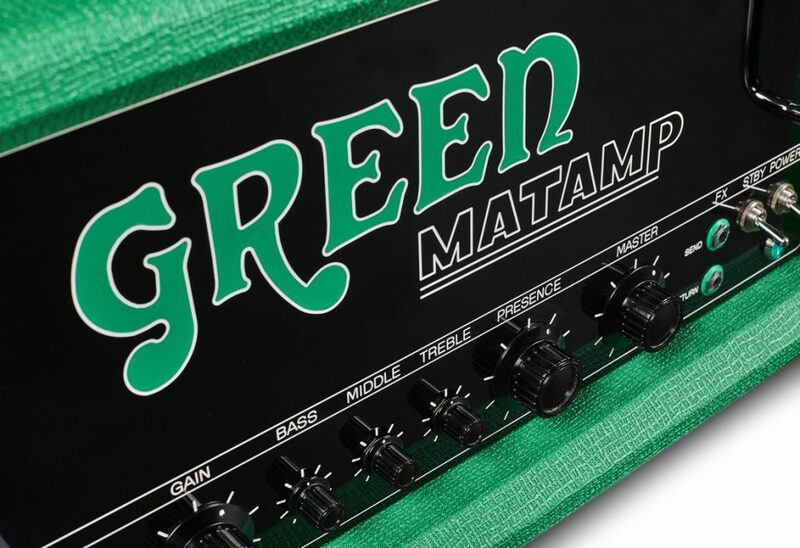 Unmistakable Green Matamp organic sound at incredible sound pressure levels or classic Matamp warm clean. 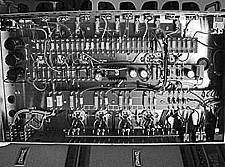 The preamp is the original circuit including the four position drive switch, bass boost and presence/boost circuit incorporating the inductor. The key to this amp is its clean tone. The preamp has origins going back to the days of Orange Matamp when Peter Green described the tone he wanted to Tony and Mat as “sweet….but not like treacle…like honey.” Coupled with four EL34s the warm sweet clean tone is a perfect match for fuzz. 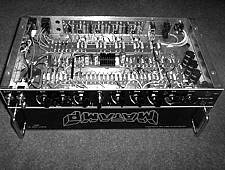 The power amp has been slightly updated to feature individual bias adjustment per valve. This makes matched sets a thing of the past and enables the user to replace a single valve while still maintaining optimum performance. 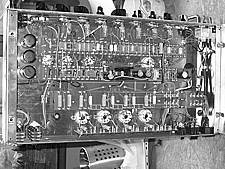 The big difference in this reissue is that the amp is now hand wired on turret tracks, our hybrid PCB turret construction method that we have been using throughout this millennium. Greatly improving reliability and serviceability over previous versions, including the original amps from the 1970s. Transformers and chassis are sourced from the same local supplier as the originals. The GT120 can drive multiple cabs from the 4, 8 & 16 ohm speaker outputs. 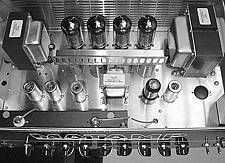 By using the parallel inputs found on Matamp cabinets the player can construct their ideal rig from our range of cabs. 4, 8 & 16, one socket each. Additional cabs must be daisy chained together. Need more power? 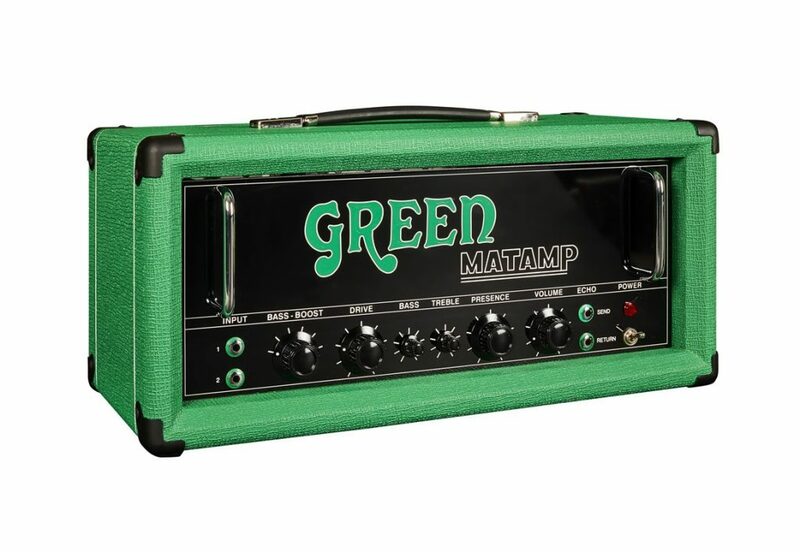 The Green Matamp GT150 is a dual purpose high power head for guitar and bass. Designed for ultimate clean headroom but with enough gain to satisfy most, the GT150 is not for the faint hearted. For bass duties the GT150 delivers a gritty midrange drive that really cuts through while guitarists get levels of dynamic punch that have to be felt to be believed. Now featuring the excellent Gold Lion KT88 valves as standard the GT150 delivers over 150w of clean power to either 4 or 8 ohm loads (we recommend a 400w cab minimum). At 10% THD the amp delivers 200w and keeps going well beyond when driven. The preamp takes elements of the GTL design but has been tweaked for more low end punch. 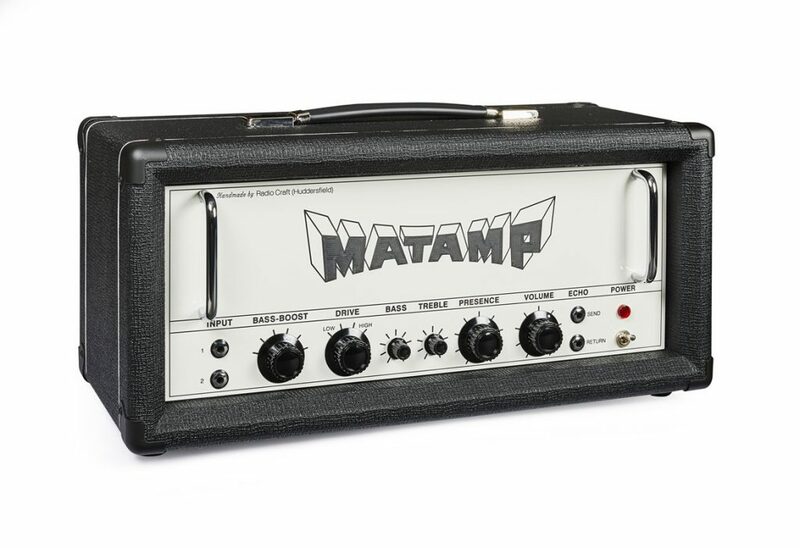 Capable of delivering both clean and crunch sounds with classic Matamp tone. 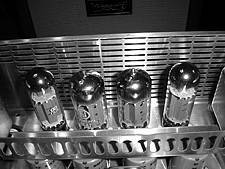 Huge transformers, massive filter capacitors and hand wired turret track construction will give years of reliable service. Available as standard black or custom Green (as pictured), this amp is set to dominate your live sound.